GOT BEES??! If you have a swarm of bees that are bothering you, or just make you uncomfortable, we can help. The safety of you, your family and your neighbors is very important, but don’t spend money you don’t have to spend. Instead of trying to scare the money out of your pocket, we like to give you a quick education about the bees and then let you decide what to do. Call your Trabuco Canyon bee removal experts at Bee Busters! Trabuco Canyon in California has the ideal average temperature of 65.16° F. This makes this area a great place to live for those who wish to stay away from cold weather. One problem is that even bees like this temperature to the point where occasionally they can be problems for property owners. Oh, you have this problem now! Then have you called in the professionals for Trabuco Canyon bee removal to provide you the best solution? Why is controlling bees important? One reason is that if a swarm set up house in your yard they will stay longer posing a risk to you. The bees could sting you while you are trying to enjoy your yard. Once they set up a hive in your yard or in the walls of your house, it will take a professional bee exterminator to remove it safely. You can prevent bees setting up house by removing nesting areas such as old tires, empty container, and holes in trees or your house’s foundation or walls for just some examples. Examine your property on a regular basis also to catch the beginning of hives. 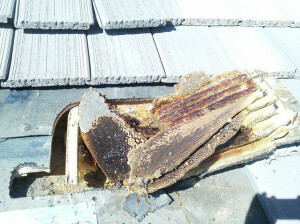 Call Trabuco Canyon bee removal professionals at the first sign of a problem. A bee exterminator will come out and analyze your particular problems before explaining how he will solve them. His goal is to return you property back to a place that is safe for you, your family, and even your pets. Remember that it can be dangerous to try to remove a hive on your own. Thousands of bees live in an active bee colony. You may only see a fraction of the bees outside the hive. 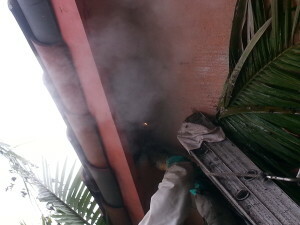 Our technicians for Trabuco Canyon bee removal services know the right way to remove the bees from your property using the latest methods in the industry today. The main benefit for a bee exterminator to perform bee, wasp, and yellow jacket removal is that you will not have to fear these flying menaces stinging you. All these stings could cause an allergic reaction. Another reason is that these menaces could invade the walls of your house. This does happen more than you know. 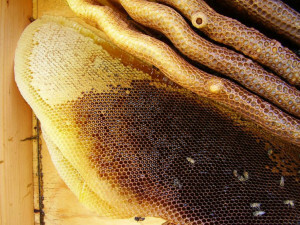 Honeybees even create honeycombs in the walls and make their honey. This can be one gooey mess to remove. It could take a great deal of money for you to repair a house from this type of invasion. Call today for information on our Trabucho Canyon bee removal services anytime you think bees, wasps or yellow jackets are more than a simple nuisance for you.